Chemists from Ruhr-Universität Bochum have devised an innovative technique for observing, in real time, the chemical reactions of individual silver nanoparticles, which have a size of only one-thousandth of the thickness of a strand of human hair. Thanks to their anti-inflammatory and antibacterial effect, the particles are used in food, medicine, and sports items. However, the way they react and degrade in biological and ecological systems is thus far hardly understood. The researchers in the Research Group for Electrochemistry and Nanoscale Materials demonstrated that the nanoparticles transform into poorly soluble silver chloride particles under specific conditions. The group, headed by Professor Dr Kristina Tschulik, has reported the outcomes of the study in the Journal of the American Chemical Society on July 11, 2018. Thus, the researchers headed by Kristina Tschulik devised a technique that allows individual silver particles to be analyzed in a natural environment. “Our aim is to be able to record the reactivity of individual particles,” explained the researcher. This necessitates a combination of spectroscopic and electrochemical techniques. The researchers used hyperspectral and optical dark-field microscopy and were able to observe individual nanoparticles as visible and colored pixels. They used the change in the color of the pixels, or exactly their spectral information, and were able to follow the occurrences in an electrochemical experiment in real time. As part of the experiment, the researchers reproduced the oxidation of silver in the presence of chloride ions, which usually occurs in biological and ecological systems. “Until now, it was generally assumed that the silver particles dissolve in the form of silver ions,” described Kristina Tschulik. Yet, it was found that poorly soluble silver chloride formed in the experiment—despite the fact that only a few chloride ions were there in the solution. In future, the aim of the Bochum-based researchers is to further enhance their technology for investigating individual nanoparticles to gain better insights into the aging mechanisms of such particles. Thus, they want to obtain more information in relation to the biocompatibility of the silver particles and the lifespan and aging of catalytically active nanoparticles. 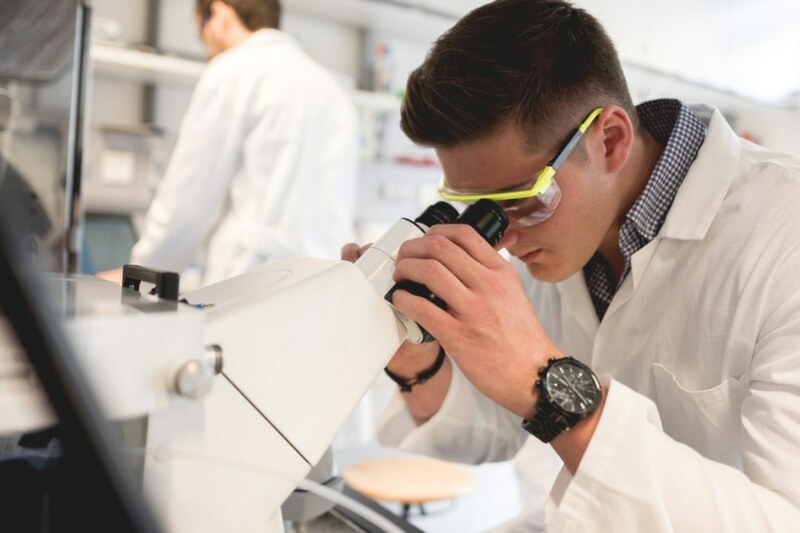 The study was supported as part of the NRW returnee programme and by the German Research Foundation within the Cluster of Excellence Ruhr Explores Solvation (EXC 1069).